Do you want to plan your meetings before coming to Jihlava? Just fill in the form that will be published in September 2019. Industry Matchmaker will start suggesting and preparing your appointments since October 16, 2019. Industry Matchmaker will be also available for individual consultations. On top of that you can choose from the prebooked experts who will be available for individual meetings. The service is available for Industry guests. Ji.hlava IDFF offers an extended matchmaking service focused on individuals in the film business that seek new connections and networking opportunities. Who are you interested to meet while in Jihlava? Do you need an advice? The Industry Matchmaker is happy to suggest what other film professionals you may meet at the festival and help you to arrange the meetings. The goal of the Matchmaking Accelerator is to help interconnect festival representatives, directors, and other film professionals attending the festival. Patricia Drati Rønde is a creative producer and film development consultant, working with both documentary and fiction. 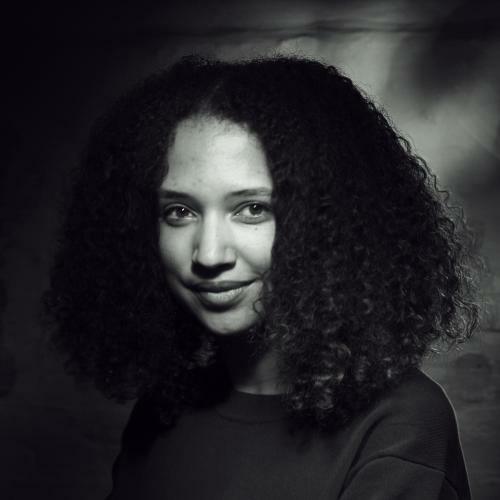 She is currently working as a consultant for the new initiative of Filmworkshop Copenhagen called From a Different World, encouraging stories by filmmakers from a different ethnical background. Between 2009-2015, Patricia was Head of CPH:LAB at CPH:DOX International Documentary Film Festival. She curated, developed and managed the cross-cultural training and production lab for international filmmaking talents. She holds the Robert Award - Danish Film Academy Award 2012 in Short Film category for the production of a short film by Jeppe Rønde, Girl in the Water. Since 2013, Patricia has also been working internationally as a script reader and script editor. Matchmaking Accelerator is supported by the International Visegrad Fund.